Noura is 25, married and has a son and a daughter. She has a small fattening business. After fattening the cattle, she uses the milk to create butter and cheese for sale and for domestic use. 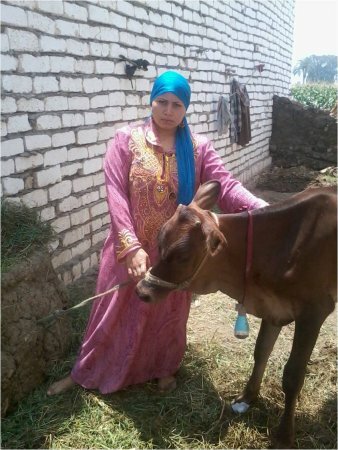 She is requesting a 5000 EGP loan to buy a head of cattle to expand her project. Congratulations to Noura in Egypt!